If he’s not keeping us up-to-date with the latest in cryptocurrencies, he’s likely busy engaging other members, actively sharing his thoughts and experiences. Today, we’ll get up close and personal as we learn more know more about his trading journey – the challenges he faced and how he overcame them. Without further ado, we give you @mlawson71! 1.Tell us more about yourself. What are your hobbies and interests, etc.? I am a bookworm, I read voraciously everything and anything that I happen upon. I also am a big fan of video games, movies and cooking. Someone close to me introduced the idea to me. As for resources, I mostly learned from that person, plus the Babypips site. 3.What was the biggest challenge you faced back when you were still a newbie trader? How did you overcome it? Apart from not knowing how to trade, it was finding a legitimate broker I could trust. I had no idea about licensing, regulation, etc. and I believed every advertisement I saw. I was terribly naive. Needless to say, I got scammed more than once. As for my experiences with scammy brokers: the first time what drew me in was the recommendation coming from a dear friend that I trusted (and still trust) immensely. That person, unfortunately, was scammed too by the same company. I guess we were both naive. The second time it was just the unethical advertising and my own ignorance. Both of these incidents taught me one thing - that I have to do my own extensive research before I give my money to anyone. Don’t trust word of mouth reviews, rumours and advertising. Do your own research, look for credible sources of information and don’t make hasty decisions. As for what I did after I got scammed - the first time I managed to withdraw what was left of my account, after quite a bit of back and forth between me and the broker, the second time I drank a tall glass of cold water and finally learned my lesson. 4.You seem to be very active in discussions about bitcoin and cryptocurrencies in general. How were you first introduced to this currency? It was nothing special, I saw articles and news about cryptos every day and I got curious. I am generally a very curious individual by nature and cryptocurrencies have become something of a fascination to me. 5. In your experience, how is trading forex different from trading cryptocurrencies? Which do you prefer? When you trade forex, the broker you employ is (or should be) regulated by government institutions. You can barely find such cryptocurrency exchanges. As for the actual currencies, I find Forex fiat currencies to be far easier to predict. There is a lot of speculation on the cryptocurrency market. That is not to say it doesn’t exist on the Forex market, of course it does, but with cryptocurrencies it seems downright excessive. 6.What is the one piece of advice you’d like to give people who are thinking about going into crypto trading now? Do extensive research before you touch any cryptocurrency with a ten-foot pole. 7.There have been numerous articles on fake cryptocurrencies, and how they blew up people’s investments. Do you have any tips to help people recognize fake cryptocurrencies? Not really, I mostly stick to Bitcoin. 8.Despite the recent plummet in coin prices, do you still see cryptocurrency as being part of the payment system in the future? If not, what do you think will become of it? I live on the principle that nothing is certain but everything is possible. Maybe it will happen one day. Do I think it will happen any time soon? No. 9.Non-forex related questions! Who has impressed you most with what they’ve accomplished? 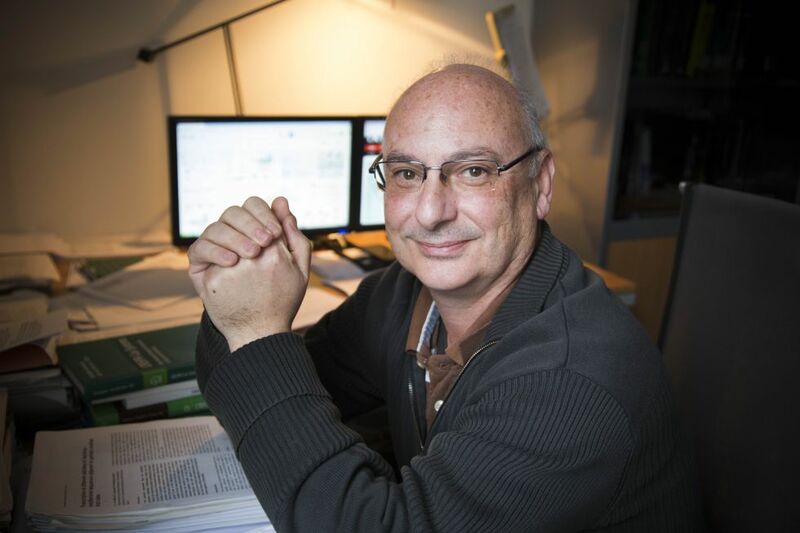 Francisco Mojica, one of the first people to work on the CRISPR technology. 10. If all jobs had the same pay and hours, what job would you like to have? I’d be developing recipe books all day. @Penelopip, for this wonderful write up. I am truly touched! @ria_rose Oh, I definitely have trust issues when it comes to brokers since then. I am suspicious until proven otherwise, but that has saved me from making more mistakes, so it’s not necessarily a bad thing. The second time it was just the unethical advertising and my own ignorance. @mlawson71 - Sorry to hear you’ve fallen victim to these horrible people. Do you think you can elaborate some more on what kind of advertising it was? I think it may help others in identifying signs of these seedy brokers. Or were there other red flags you think you should have been able to spot in retrospect? I don’t remember a lot of details as it was quite a while ago, but I remember there were promises of bonuses they ended up telling me they owe them money for a bonus that I had lost while trading. I haven’t used bonuses in my trading ever since. I remember those days to. No one will take care of your money better than you once you start caring for it. I stopped listenning to people and investing into scammers or so called great traders. I am very glad if I was able to help in any way. I wish you success on your trading journey! I’d definitely keep this in mind. I don’t think I could get back up from losing any money because of scammers so I try to be super duper careful!